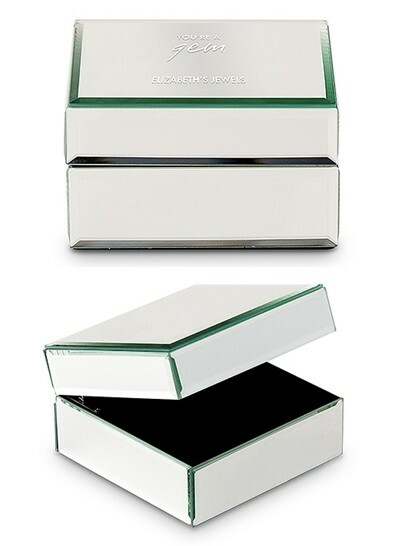 This classic square mirrored jewelry box features beveled edges and a black velvet lining to securely and beautifully store your treasures atop your vanity. Better yet, the clever sentiment "You're a Gem" is printed on the lid and you may personalize it with a name or custom text line beneath the sentiment. Available only in the fonts shown.